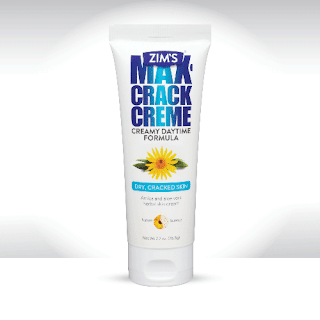 Zim's Crack Creme Creamy Daytime Formula, is an herbal formula that softens and moisturizes dry, cracked skin. Originally developed by a pharmacist, this formula is recommended for daytime use, which compliments the nighttime use of the Original Liquid Formula. It is for use on hands, feet, elbows, cuticles and much more. This (and the original liquid formula) is also useful for the dry split fingers often associated with the dry atmosphere weather in wintertime or southwestern climates. The daytime formula has the same ingredients as the original liquid formula, just in different amounts. I liked it very much, it absorbs nicely into the skin, which means it absorbs quickly and doesn't leave a huge residue all over your skin. In fact, it absorbs completely into the skin, leaving hands so soft that you'd think you just had a paraffin dip. So you don't go around with greasy hands all day. I used it on my right foot, which had some rough skin and a large crack on the ball of the foot right below my big toe. After a couple of weeks of use, voila the crack had healed some (not completely but I did not expect it to after only 2 weeks, it was a very large crack), and my rough skin was gone. I did use it in conjunction with the original liquid formula, which I used at nighttime. 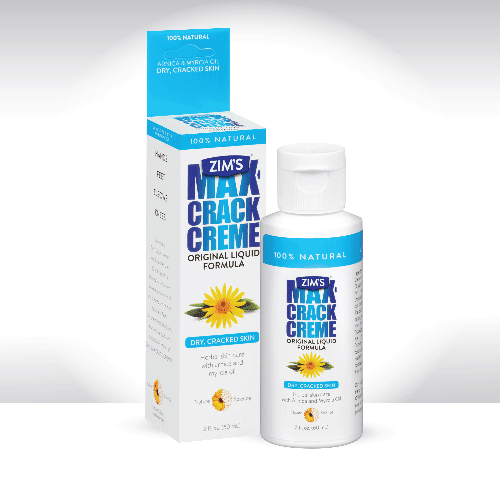 Zim's Crack Creme Original Liquid Formula is an all-natural multi-use liquid herbal formula that softens and moisturizes dry, cracked skin. It is recommended for nighttime use but can be used throughout the day also. This liquid can be used on hands, feet, elbows, cuticles and more. Originally it was developed by a pharmacist over 60 years ago when cement workers came to him complaining of dry, cracked skin on their hands and feet. This oil formula features Arnica Flower Extract and Myrcia Oil. Their original liquid formula and creamy daytime formula products are ideal for the dry split fingers often associated with dry atmosphere weather in wintertime or southwestern climates. I find the Original Liquid Formula a little bit harder to use, as it is a thin liquid. If the liquid was a little bit thicker then I think it would be easier to use. That said, it is an extraordinary product and does help with the dry, cracked skin on the feet, elbows and hands. I love how well this and the other Creamy Daytime Formula product perform. What I love about the Original Liquid Formula is that it is stronger and therefore works better overnight to help with the problems we have. I used it in conjunction with the Creamy Daytime Formula on my right foot and it really helped to get rid of the crack that had developed. Here is a photo of my right foot with the ball of the foot under my big toe. The crack has completely disappeared. There is still some callus left on the area but that needs to be taken care of with a pumice stone. At least the crack is gone. That only took 2 weeks, using Zim's Original Liquid Formula at night and the Creamy Daytime Formula during the day. 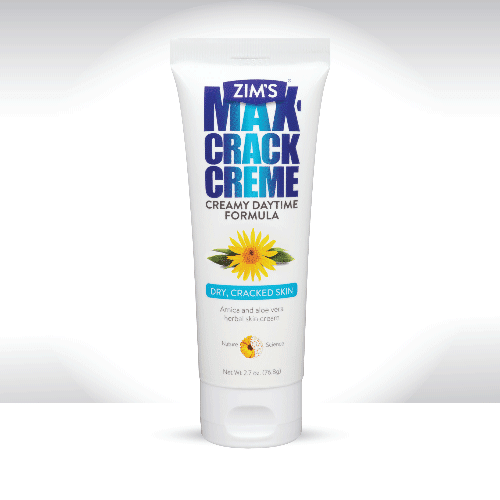 Zim's Crack Creme can be purchased at Rite-Aid, Walgreens and Wal-Mart in the United States. There is a whole list of retailers where you can find it in the US, too long to list here, but I will put the link: www.zimsusa.com/find/. Like Zim's on Facebook:https://www.facebook.com/zimsusa; Follow Zim's on Twitter:@zimsusa; Follow Zim's on Pinterest:https://www.pinterest.com/zimsusa/ and Subscribe to Zim's on YouTube:https://www.youtube.com/user/ZimsUsa.